CHICAGO — He has no mutant powers, but with his skills he can give the comic super-hero, Speed, a run for his money. Ten-year old Steven Purugganan smashed his own Guiness Book world record last April, to keep his title as the fastest cup stacker. The fifth-grader from Massachusetts made his mark during the 2008 World Sports Stacking Championships in Denver, Colorado. Steven set a record-breaking 6.21 seconds in the “Cycle Stack” category, a solid improvement from his previous world record of 7.23 seconds, which he set only last October 2007 in New York. He beat over a thousand competitors to claim the grand prize. Prior to the Denver championship, he already broke his original record twice, in February (6.65 seconds) and March (6.52 seconds). Steven also holds two other world records in the “3-6-3” (2.34 seconds) and “3-3-3” (1.86 seconds) individual categories. The numbers refer to the pieces of cups involved in the routine. “Cycle Stack” is a more complicated combination using 12 cups. Sports stacking, or more popularly known as cup stacking, is a fairly new phenomenon. The game was believed to have started in the 1980s during summer camps. But it was only in 2001 when organizers formed the World Sport Stacking Association, that the game was elevated to a competitive level. 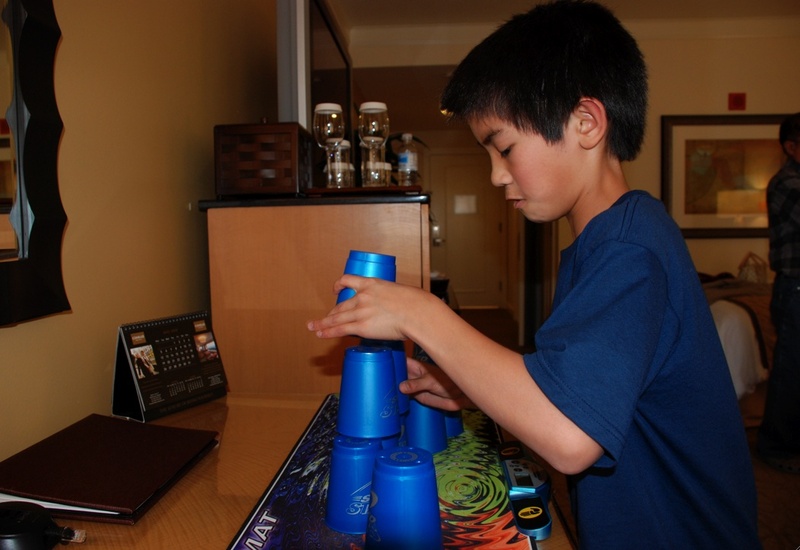 To play the game, each competitor is required to stack and unstack specially designed plastic cups in pre-determined sequences. The fastest competitor wins. Contestants can work with a team or compete individually. Even before this latest record, Steven was already launched into the spotlight when he was featured last January in the NBC prime-time special, “Guinness Book of World Records: Top 100”. He was ranked No. 72 as the most fascinating world record-holder. After setting his newest record, he was featured anew on TV, appearing on ESPN’s “Top 9 Play of the Day” segment. In his town of Longmeadow, Massachusetts where his family resides after moving from Chicago, Steven is being treated like a mini-celebrity, and sought after by different media organizations. Recently, local politicians from Massachusetts welcomed him to the State House to witness his stacking prowess, according to CBS station WBZ-TV in Boston. It was only in late 2006, when Steven and his older brothers Andrew and Brian learned about cup stacking, while watching ESPN. Sensing their interest of the game, their mother Victoria bought them a cup stacking set for $30. Only 18 months after, the Purugganan household headed by their father, Dan, had a certified champion in their midst. “It was well worth it [$30],” Steven’s mom jokingly quipped in a radio interview. Steven trains every day for one hour. He also devotes time for his studies, as well as other extra-curricular activities like baseball, soccer, basketball and golf. Because of his achievements, the fast-food giant McDonald’s offered Steven to star in a new television commercial, which will run in the US. Last May 15, accompanied by his mom, Victoria, Steven flew in from Boston to Chicago to shoot the commercial. The McDonald’s headquarters is based in the Chicago suburb of Hoffman Estates. 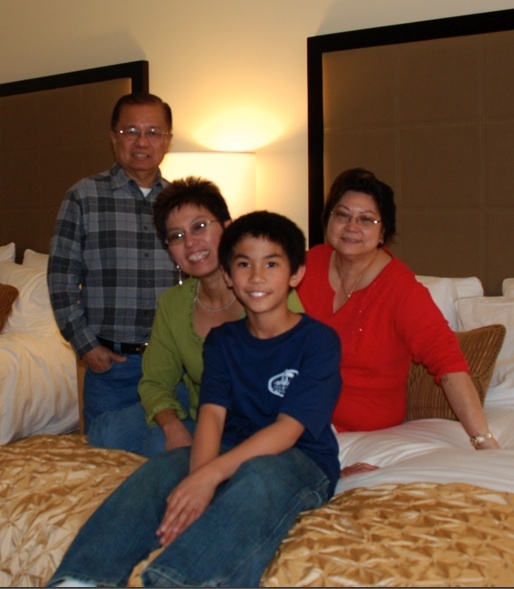 Steven’s family from the maternal side are from Manila. His father, Dan was born in the US but grew up in Manila. The television commercial will be aired in July or August. Steven’s mom said she hopes it will boost awareness of the game. This is the sixth year the World Sport Stacking Association has sanctioned the World Sport Stacking Championships. Palm Sunday celebration in Jakarta. The entire congregation had one special prayer: A peaceful election on Wednesday, April 17. Catholics make up three percent (roughly 7.5 million) of Indonesia's more than 264 million people. Faces of Indonesia: Supporters of President Joko Widodo at his last rally a week ago before the April 17 elections. According to quick count results, Jokowi was re-elected against his oppoent, Prabowo Subianto. 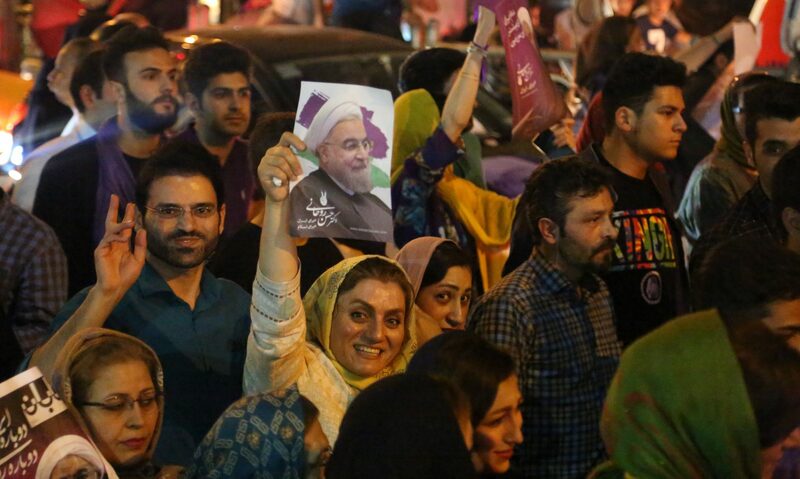 Is Trump baiting Iran into an armed confrontation?